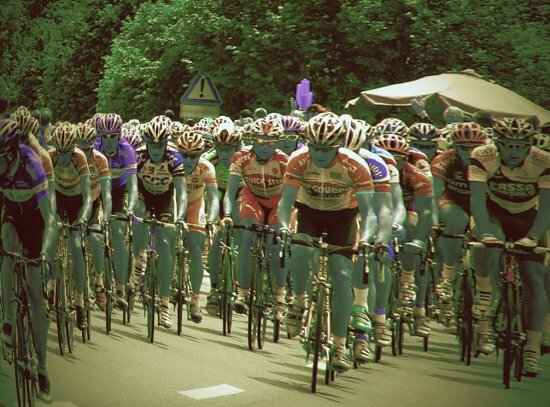 Good news for Fulking motorists planning to head north or west this Sunday: Velo South has been cancelled. 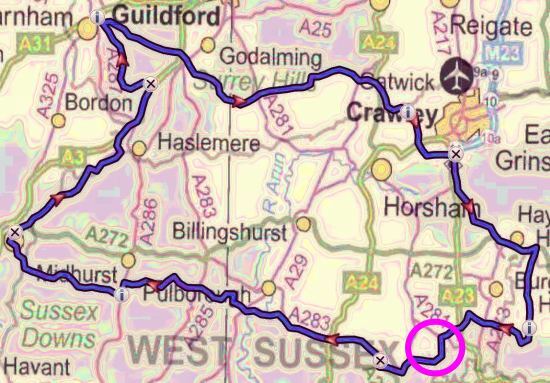 Stage 2 (40k) retracing back to Steyning you then pass through Bramber, before turning East through Edburton and Fulking. 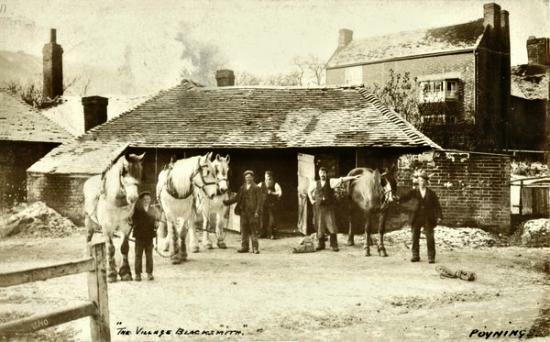 From Fulking you head North, avoiding many main roads, and pass through Wineham, Warninglid and Handcross, before arriving at the Pease Pottage Services. They are likely to be blocking Clappers Lane and The Street for much of the morning. 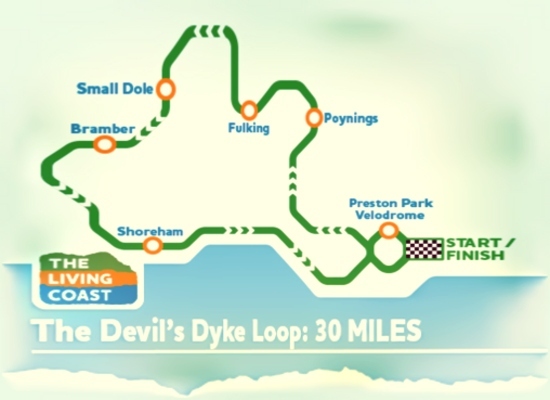 Saddlescombe Road and Devils Dyke Road will be closed between 12.30am and 9.00am on Sunday 12th July thanks to the 2015 Night Time London to Brighton Bike Ride. Access to adjacent properties will be maintained and alternative routes for other traffic will be signed on site. Well if you look closely, you may find that some of those youngsters aren’t that young, the bikes aren’t that expensive and the trails may not be a fearsome as you imagine. Fulking has some great MTB trails for riders of all standards to enjoy – many that only the locals know about. So to encourage more of us out, we’ve put some of the lesser known and shorter circular routes on the website. More will be added in future. Take a look and if you’re already into mountain biking, please contribute your own favourite routes by emailing webmaster@fulking.net. 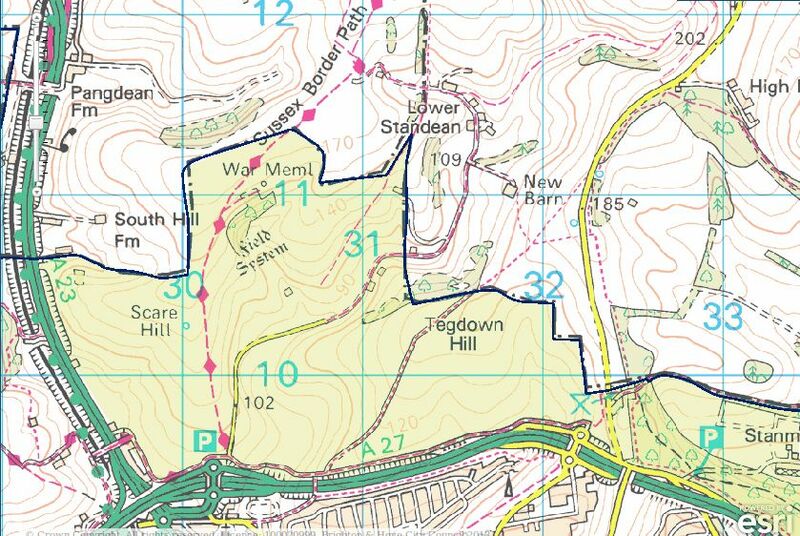 The Shoreham Herald reports that work is about to begin on the new bridleway that will allow users of the Downs Link to avoid having to cross the A283. David Barling, county councillor for Bramber Castle, said .. The underpass scheme is intended to provide a much better and safer route for walkers, cyclists and horse riders by removing the need to cross the open A283 bypass, which is extremely dangerous, you usually take your life in your hands crossing at this point. This means having a look at the site and clearing scrub and trees or tree roots that may need removal along the highway verge. This initial phase will take a couple of weeks and then proper construction works will start on Monday, August 18, and it is hoped that these will last no more than four weeks to complete. The finished pathways will then be left to settle down for a couple of weeks more and then [be] fully open to pedestrians, cyclists and horse riders. Brighton and Hove City Council has created free public access to another 670 acres of Sussex downland. 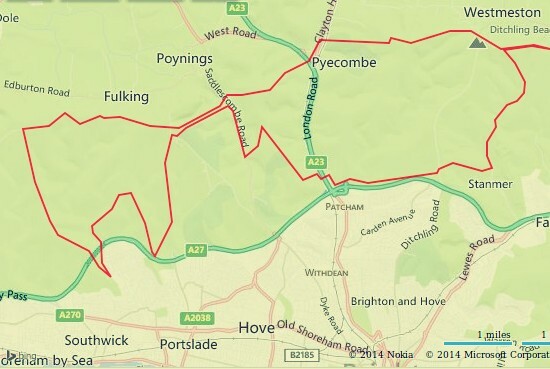 .. Five miles of new footpaths and bridleways have been created, meaning walkers on the Sussex Border Path can divert on to a route keeping them further away from busy roads. Works have involved installing gates and cutting a new path up a steep bank at Braypool. .. The surrounding landscape includes ancient burial mounds on top of Tegdown Hill, lynchet terraces .. and the Chattri monument.